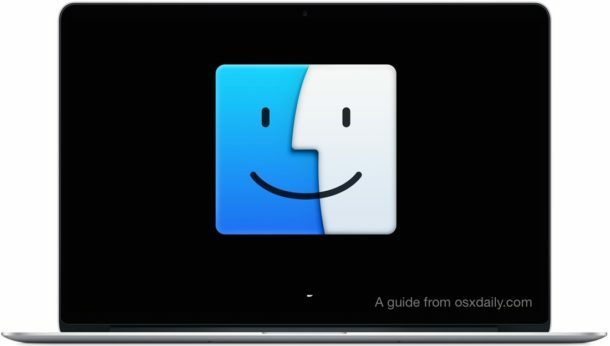 Sometimes you need to restart a Mac, this guide will show you exactly how to restart a Mac the right way so that the computer turns itself off and then turns back on again immediately, in what is known as a reboot process. You can restart any Mac by the method we’ll cover here on any version of Mac OS system software, including any iMac, MacBook Pro, MacBook, MacBook Air, Mac Mini, or Mac Pro. Even older Macs are rebooted this way too. Note that what we’re covering here is a traditional system restart of a Mac, which is often necessary after you have installed or uninstalled software, and it can also be useful to restart a Mac sometimes when performance is sluggish. A regular system restart is not the same as a forced reboot, when a Mac freezes or has crashed and is no longer responsive and needs to be forcibly restarted. The Mac will instantly restart, closing out of all applications and windows and programs, and the system software shuts itself down and initiates the reboot process. If you don’t click the “Restart” button the Mac will restart itself automatically within a minute. If you click “cancel” you are returned to whatever you were doing and the computer will not restart. 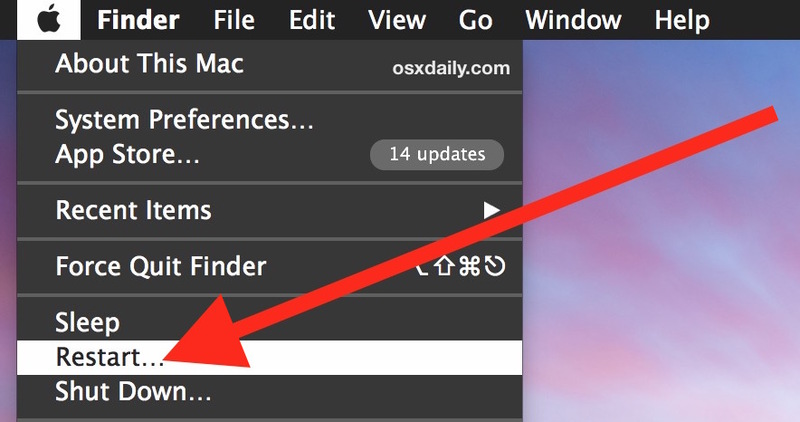 A quick note about the restart window: Most Mac users want to reopen everything they currently have open when the Mac reboots so they keep that checkbox enabled, but you can disable it if you don’t want to re-open windows again on reboot. Remember, a normal system restart is not the same as forcibly rebooting a Mac, which can be a troubleshooting trick if the computer is unresponsive. For those who like to learn a bit more, you can actually reboot a Mac aside from the  Apple menu method and also initiate the restart process by using the power key on the Mac computer as well.